A zesty, citrus delight. Top notes of ozone floral, muguet, green, orange, lemon and lime. Mid notes of jasmine, rose, camphor and eucalyptus. Violet at the base of the fragrance. Citruses are flowering plants of the family Rutaceae, typically evergreen, spiny shrubs of trees. 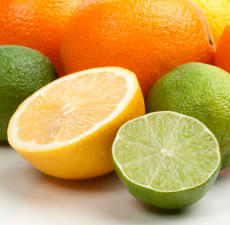 The best known examples of citruses are lemons, oranges, grapefruits and limes. Citruses are cultivated since ancient times and prized for their edible fruits - known as agrumes - covered with leathery rind from the outside, and filled with juicy flesh from the inside. The rind is full of fragrant flavonoids and limonoids, while the juice contains high levels of citric acid, which lends sharp and refreshing flavor to the fruit.